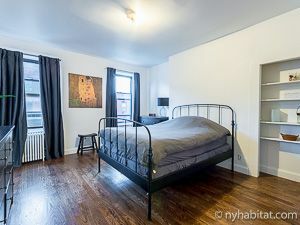 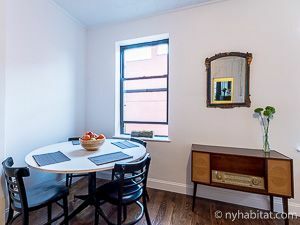 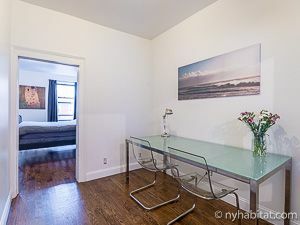 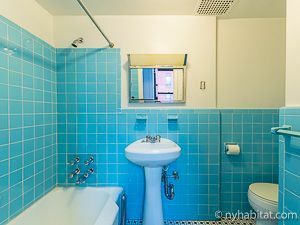 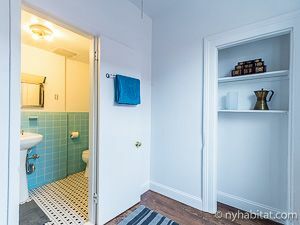 Explore Brooklyn in this one bedroom furnished apartment in the trendy neighborhood of Greenpoint. 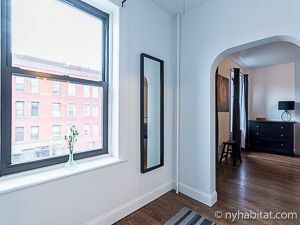 Near Franklin Street and Milton Street you will find the low-rise building that holds this walk-up apartment. 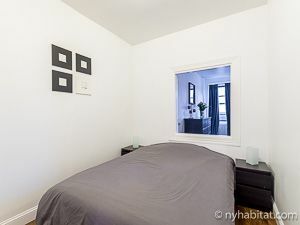 On the second floor of four (1st floor for Europeans), make this apartment your home sweet home. 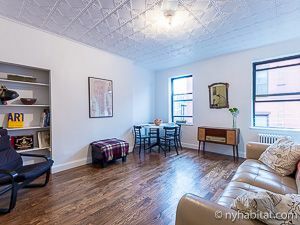 A living room with wide plank hardwood flooring, patterned ceiling, and two windows for natural light. 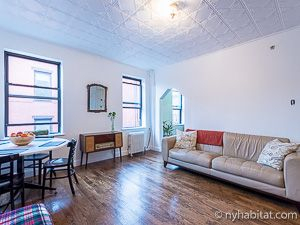 The retro feel of the apartment does not hinder the contemporary elements in the space. 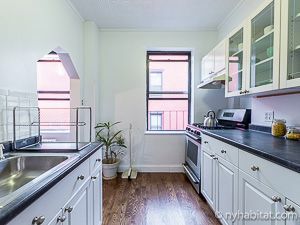 Walk through the geometric doorframe to the separate kitchen. 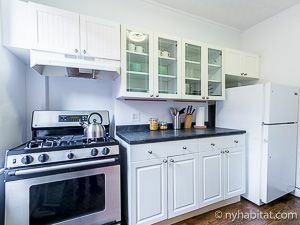 Featuring white cabinets with glass doors and dark countertops. 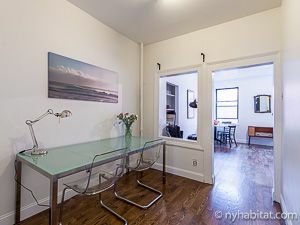 Make use of the extra space in this apartment for an office and separate sleeping area. 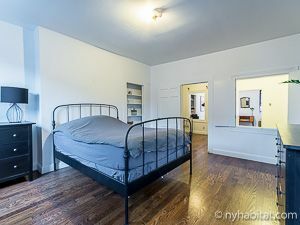 In the bedroom, you will find a queen sized bed, built in shelves for storage, and extra room off of the bedroom.